The RB260GSP aka CSS106-1G-4P-1S is a low cost SOHO switch in a small plastic case. 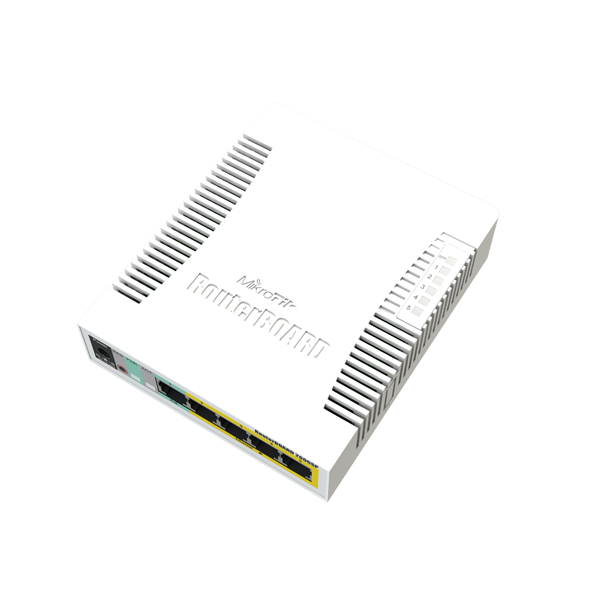 It has 5 Gigabit ethernet ports powered by an Atheros switch AR8327. 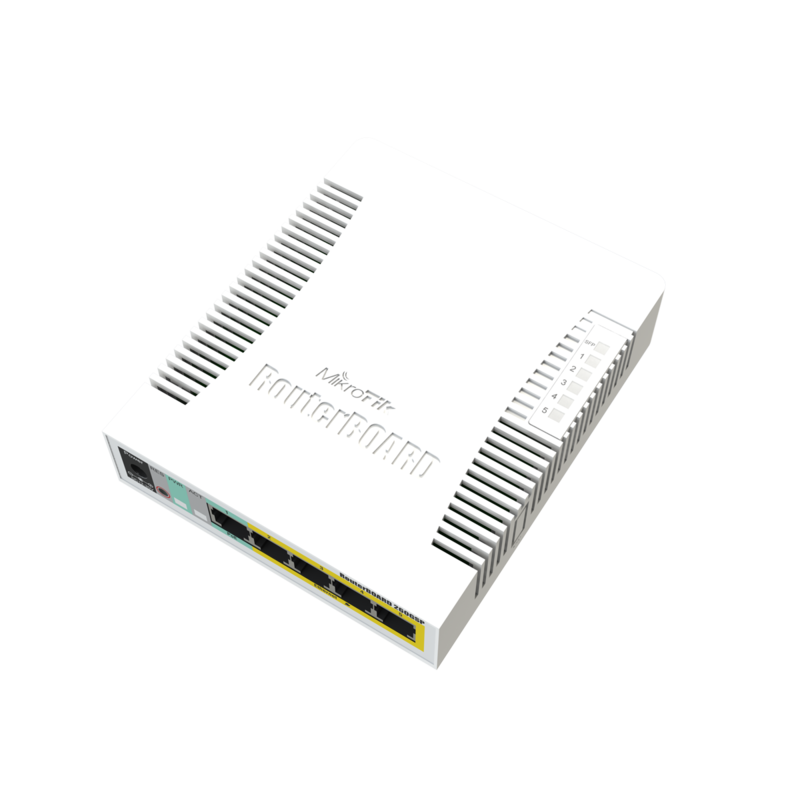 This model can source power to other Mikrotik devices. Passive PoE output is available on ports 2-5 with a maximum current of 500mA per port. 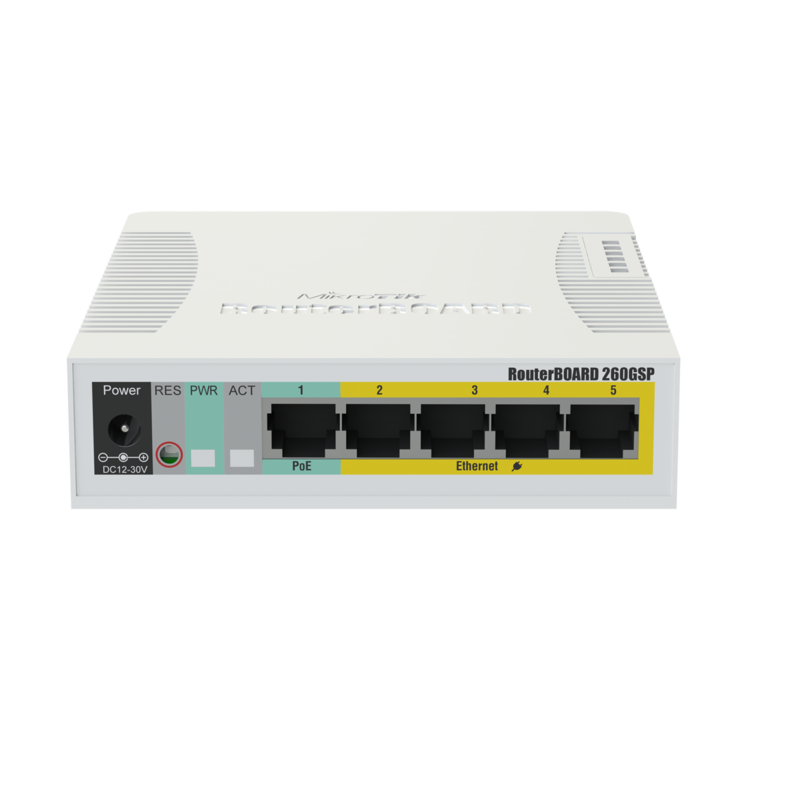 RB260GSP is powered by a new operating system designed specifically for Mikrotik Switch products - SwOS. Mikrotik RouterBoard RB4011iGS+5HacQ2HnD-IN (Export version) Powerful 10xGigabit port router with a Quad-core 1.4Ghz CPU, 1GB RAM, SFP+ 10Gbps cage, dual band 2.4GHz / 5GHz 4x4 MIMO 802.11a/b/g/n/ac wireless and desktop case - New! Mikrotik RouterBoard wAP LTE kit - (just add LTE card of your choice) - New! Mikrotik Cloud Router Switch CRS328-4C-20S-4S+RM SFP switch, 20 SFP ports with 4 SFP+ cages and 4 combo ports in a 1U rack mount case - New! 24vdc 96 watt (4 amp) open frame switching power supply with Molex DC plug - replacement PSU for Mikrotik Cloud Core Routers Mikrotik RBSXTsq5HPnD (export version) is a low cost, high speed 5GHz wireless device. Dual polarization 802.11n and Nv2 TDMA technology help to achieve even 200Mbit real throughput speed - New! 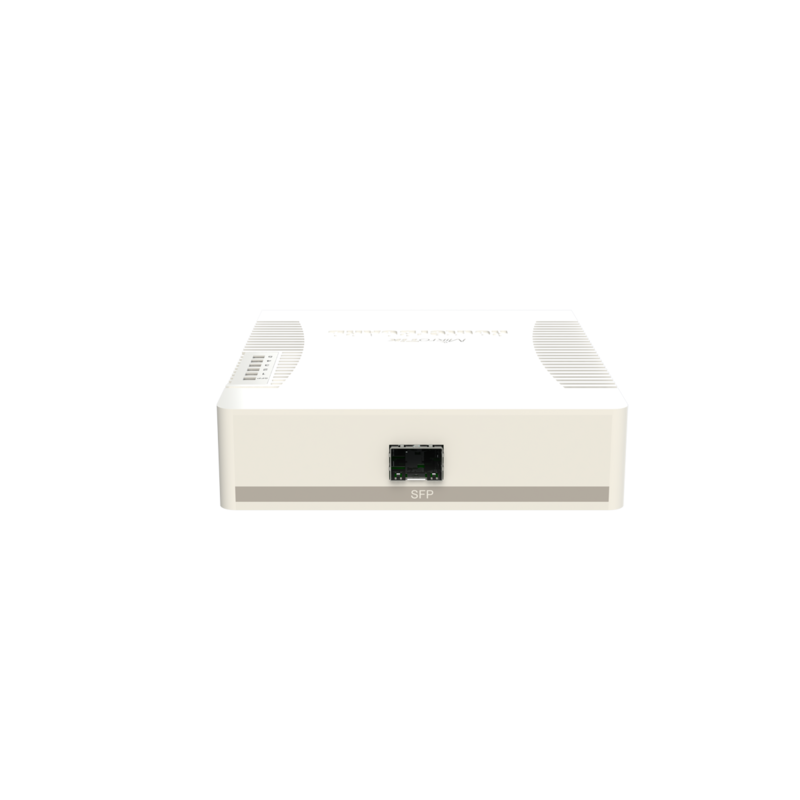 Mikrotik QRT5ac RB911G-5HPacD-QRT-US (US and Canada) is a high gain, high speed 5GHz oudoor wireless device. Dual polarization 802.11ac and Nv2 TDMA technology help to achieve even 540Mbit real throughput speed - New!